It is just a matter of time before Renault enjoys success again in F1, according to team boss Cyril Abiteboul. Cyril Abiteboul insists it is just a matter of time before Renault secures the “technical breakthrough” it needs to reach its former levels of success in Formula 1. The French manufacturer finished inside the top four of the constructors’ championship last year for the first time since returning to the sport as a full-blown works outfit in 2016. Renault has not scored a podium as yet in the V6 hybrid era and last won a race at the 2008 Japanese Grand Prix, following its greatest period of sustained success when it claimed championship doubles in 2005 and 2006. While Renault is keen to avoiding setting fixed goals for the upcoming 2019 season in the knowledge that breaking F1’s current top three teams of Mercedes, Ferrari and Red Bull will be a tough task, Abiteboul believes it is on schedule to meet its long-term target of getting back to winning ways. 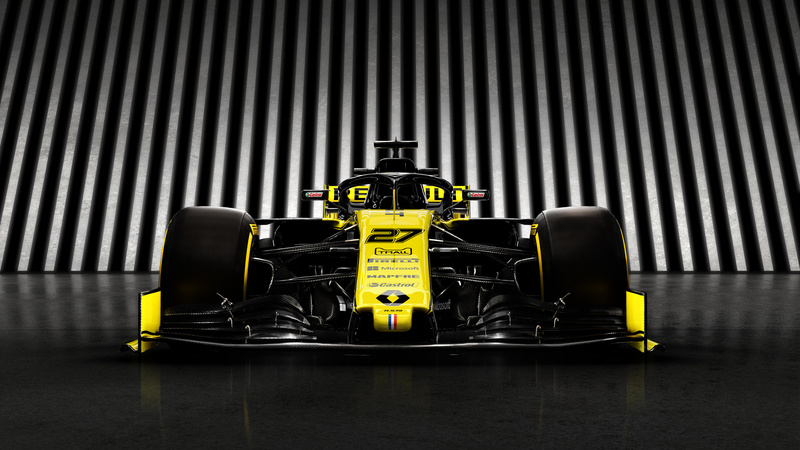 “What makes me be confident is with the stability of the engine regulations and the stability of the organisation I can really say we know what we need to do,” Abiteboul said at the unveiling of its R.S.19 at Enstone on Tuesday. “It’s not about trying to understand these new regulations, which are extremely complex, we are completely over them. Abiteboul said Renault is confident about the step forward it has made with its newly-developed power unit and hopes it will help the team in its bid to close the performance gap to F1’s leading trio. “We are reasonably optimistic,” he explained. “Reasonably because it’s not the first good winter we are having. “Some of them have been not as strong as we wanted when we started to really go at the track and try to experiment. “I think it’s fair to say because of the engine development of the engine we will be using, it has been on the dyno for quite a while.